Oh peanut butter, how I love thee. I eat peanut butter probably five days out of every week in different forms and fashions. I have my preferred brands and styles, as well as delivery methods. But the cookie form is always an excellent choice. 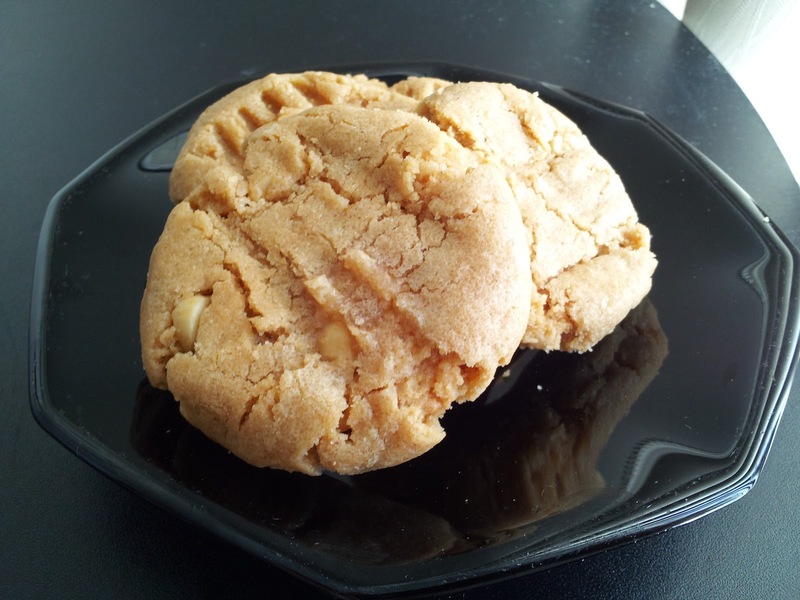 This peanut butter cookie recipe yields a slightly crunchy, decidedly sweet final product that's a bit crumbly and chewy. What's even better about this recipe is that it takes very few common ingredients and go from an idea to in your tummy in no time. Whisk together the egg and peanut butter, then add the sugar and stir until combined. Add remaining ingredients, then roll out cookies into 1 Tablespoon portions. Place on a cookie sheet, then use a fork to add an X on top of each cookie. Bake in a 350-degree oven for 8 to 10 minutes and allow to cool for five minutes on the cookie sheet before removing to a cooling rack. that's all that's in them?!? no flour?!? how did I not know this? I have a future SIL that would love these Kelly! I can totally make these! With the right brands, this is a gluten-free recipe ... I think these need to be in my oven tonight. 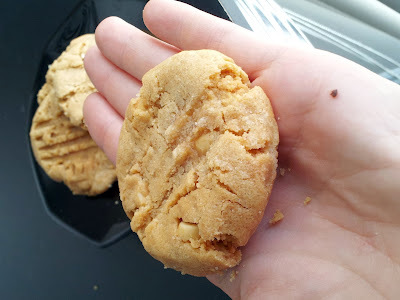 Can you believe I haven't tried peanut butter cookies before? Maybe I have but I honestly don't remember! In other words, this recipe is getting added to my must-try list!